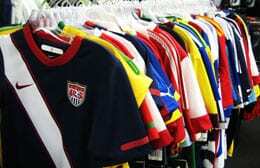 The Shop is Tucson’s best place to get soccer gear. 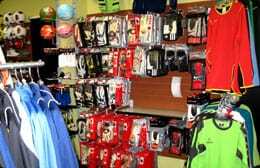 Soccer gear picked by professionals and sold to you with confidence. We carry over 100 shoe models that are hand picked from all the major brands so that we can provide you with the best possible options for your foot type. And we have to mention The Cage! The Cage is an indoor test field where anyone can test their gear before making that final purchase. We understand how important good shoes are. So stop in today and consult with one of our professionals. Having foot problems? Soccer shouldn’t have to hurt. FREE shoe and gear consult. Need a Uniform? Or a Jersey? uniform options & our huge selection! We sell every thing you need! Soccer Balls, Warm Ups & More! Interested in Soccer? Here are some of the local clubs.